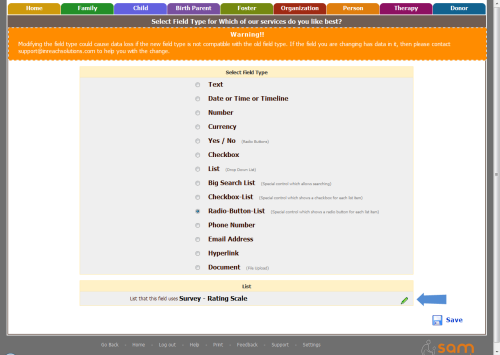 When adding New fields to a survey, the field type is automatically set to the "Survey - Rating Scale" radio-button-list, instead of prompting the user to select their desired field type. But, certainly this isn't the only way you want to ask questions, so you can modify the field type for each question that should be changed. 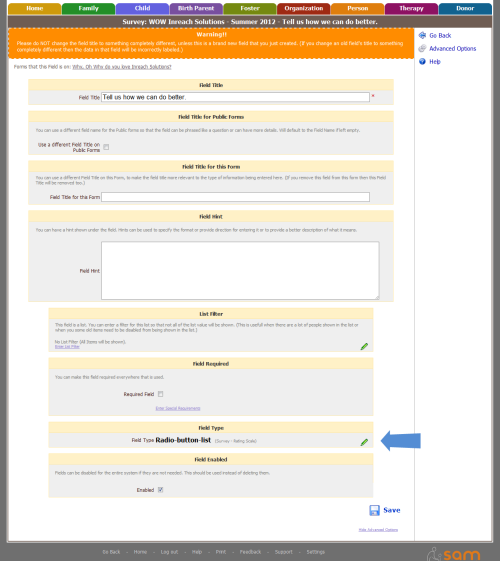 Open the Survey, then click on the field. 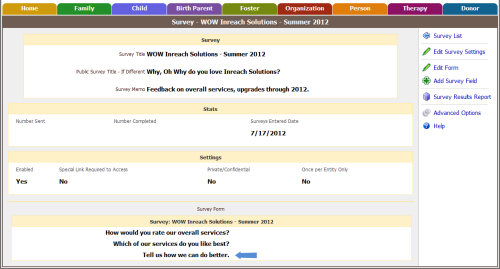 You can also access the Form Customizer view of the Survey by clicking the Edit Form link on the side bar. Click the View Advanced Options link under Save. More options will display for the field properties. 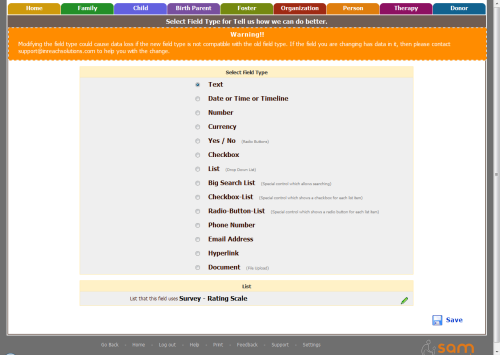 Click the edit link under the Field Type section. Select the new field type, then press Save. Depending on your selection, SAM will prompt you with additional options. 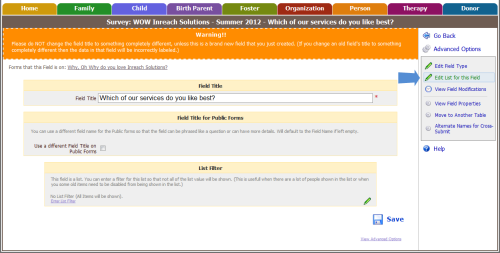 Examples: Type of Text box, date field or number, What list to reference. Click the edit link to the right of the List being used. Either Select a list from an existing list or Create New List. If you Create a New List, you will be prompted to title the list. Click on the field name, then click Advanced Options. Click Edit List for the Field.